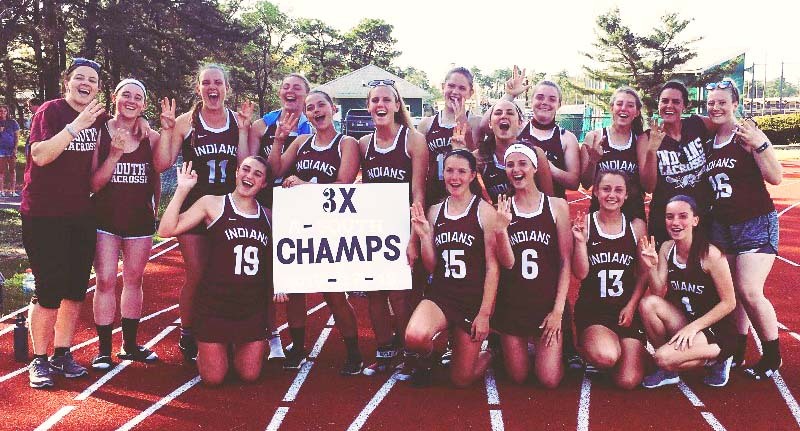 On May 3, the HSS Lady Indians lacrosse team beat Brick Township 14-6 to seal the deal on a third consecutive A-South title. 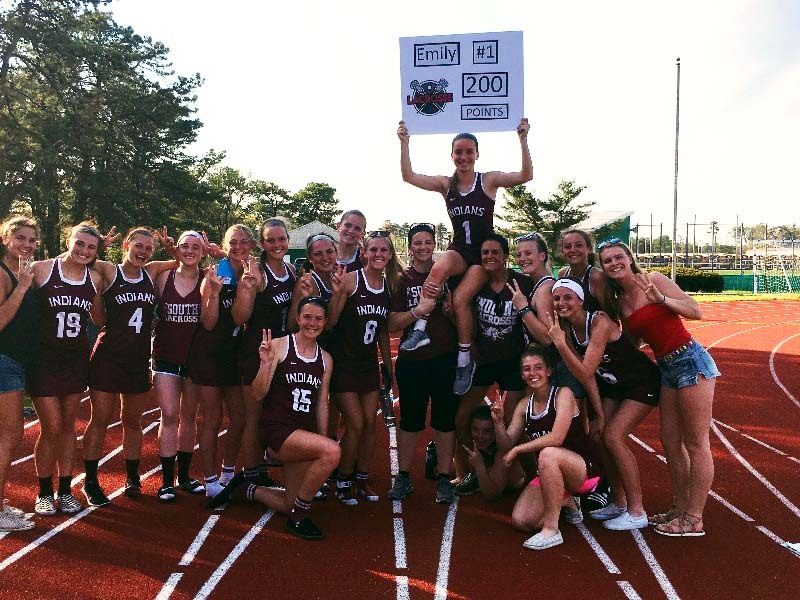 Brick may have scored the first goal, but Senior Emily Donzanti scored the first goal for the Indians to notch her 200th career point less than two minutes into the game. Emily finished the day with five goals and an assist. Senior Jen Toal scored six goals in the game and reached her 300th career point.